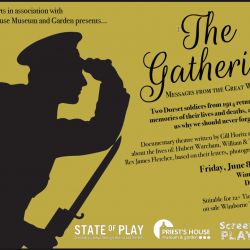 Three further performances of original documentary theatre ‘The Gathering – Messages from the Great War’, commemorating the lives of two local soldiers, Will Cutler and Hubert Wareham, and people closely involved in their lives: Will’s wife, Tillie, and the Vicar of Wimborne Minster, Reverend James Fletcher. Also showing of short film, ‘Tommy Sisters’. 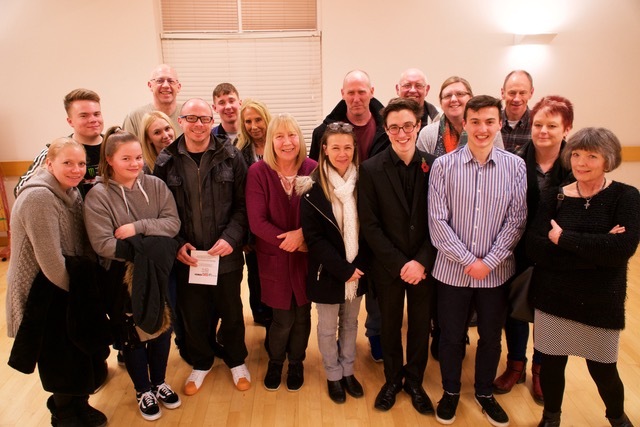 Alan Wareham, Hubert Wareham’s great nephew, said: “ The play really brought my Great Uncle Hubert’s story to life and recognises and honours the great sacrifice that he and others made. 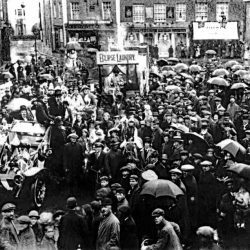 We thought the actors were superb and the play was a fitting tribute to Hubert and Will and it really helped to bring their story to life. Hubert Wareham’s great grand-nephew, music student, Andrew Wareham, played the trumpet during the performance. Visitors to the Priest’s House Museum will be familiar with Hubert Wareham, whose portrait, resplendent in medals for school achievement, is displayed in the schoolroom. Ruth Allen, Finley Richardson, Summer Richardson, Chris (Christopher) Wareham, Jamie-Lee Scrivens, Mark Richardson, Peter Scrivens, Queenie Crow, Chris (Christine) Richardson, Rachael Crow, Lee Crow, Andrew Wareham, Paul Wareham, Not known (relative of Chris or Paul Wareham), Joe Urquhart (actor), Alan Wareham, Not known (wife of Paul or Chris Wareham), Eleanor Wareham. 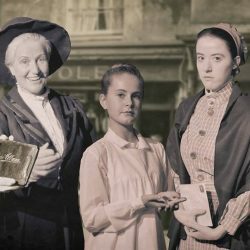 The production was enhanced by projected images, created by Alastair Nisbet, of ScreenPLAY, and performances by four Dorset-based professional actors: Kevin Burke, Bryony Reynolds, Joe Urquhart, and Jake Baker, with pianist, Jane Joy. Costumes by Hannah Small. Assistant Director: Chloe Bannister. 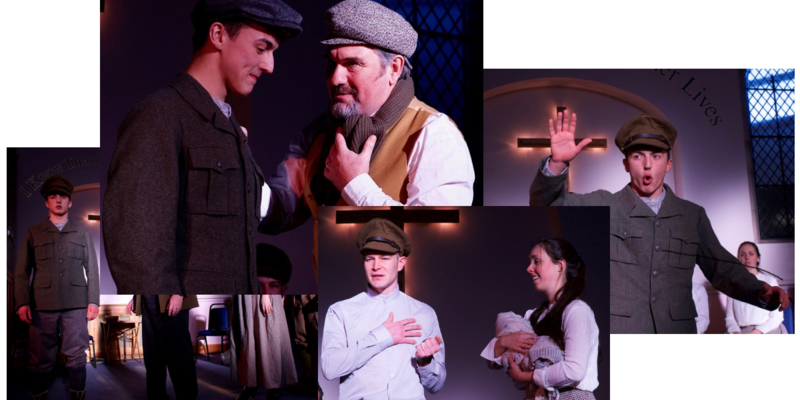 The premier performance took place in early 2018 at the altar of Holtwood Methodist Chapel, where Will married Tillie Frampton, in 1913, in the presence of over thirty of Will Cutler and Hubert Wareham’s descendents. 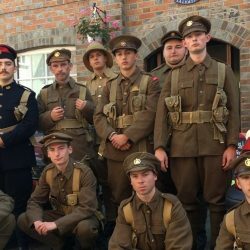 The production by State of Play Arts has been commissioned by the Priest’s House Museum, as part of its ‘The One Hundred Year Heritage of the First World War for Wimborne and East Dorset’ project, funded by the Heritage Lottery Fund.